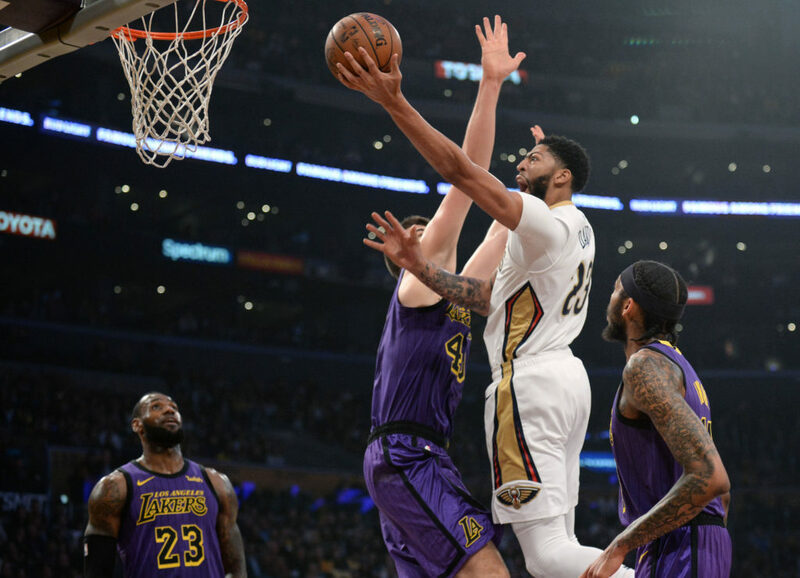 Anthony Davis Requests a Trade, What Does it Mean for the Lakers? Anthony Davis has requested a trade from the New Orleans Pelicans, per ESPN’s Adrian Wojnarowski via Davis’ agent Rich Paul. The All-NBA big man will be a free agent in the summer of 2020 and is extension eligible this summer, so league observers were awaiting clarity on Davis’ long term intentions with baited breath for what feels like forever. Would he actually request a trade before he was offered the extension? Would he wait until the Pelicans offered it and then mull it over? Would he play out his contract and then become an unrestricted free agent? There is no more wondering, now. Davis would like a trade. Davis’ free agency being over a year away opens up opportunity to every team in the league to make a legitimate offer since any acquisition would, in theory, be for at least a full season. This is amplified by the fact that Davis did not, at least by this morning’s reports, name an preferred destinations in a trade. Instead he just said he’d like to play for a team that has an opportunity to contend for championships long term. The team that has lusted after Davis most on the trade market is the Boston Celtics who double as the team which has at least one blue chip young player (Jayson Tatum), one high level young player (Jaylen Brown), several other young players with pedigree, and a trove of draft picks to offer. The Celtics also cannot trade for Davis until Kyrie Irving opts out of his current contract due to a rule in the Collective Bargaining Agreement related to teams being limited to only having one player on their roster who are playing under a designated player extension — which both Irving and Davis currently are. Irving is expected to opt out of his contract on July 1st, which is when the Celtics would be considered “in play” to trade for Davis. The only way they could make a trade for Davis before Irving opts out is to include (Irving) in the deal. Davis’ aforementioned agent is also the agent and longtime friend of LeBron James. Beyond the Lakers obvious desires to add a player of Davis’ caliber, this relationship rings loud in the mind of many observers as giving the Lakers an inside track to make a trade. Of course having *an* inside track doesn’t mean the Lakers have *the* inside track. Also, having the inside track doesn’t mean you win the race. The Lakers are in a tricky situation when trying to cobble together a deal for Davis. Their highest paid players are Kentavious Caldwell Pope and Rajon Rondo. KCP has “veto” rights over any trade because he’ll lose his Bird Rights in any trade. Rondo is an expiring contract. The Lakers, like the Celtics, have several young players with upside who could be included in any trade. Brandon Ingram and Lonzo Ball headline this group, but Kyle Kuzma and Josh Hart are also starter quality players. It should be noted, though, that Ingram and Ball might be two of the more polarizing young players in the league and could easily be looked at as acquired tastes — in other words, either you really like them or you don’t at all. Lonzo Ball is also currently injured with a grade 3 ankle sprain and while the Lakers have called this a 4-6 week injury, Reggie Jackson missed 3 months with this same injury last season. So, I say again, this is complicated from the Lakers perspective. The pessimistic side of the coin says the Pelicans, despite Davis’ request, are best served waiting until the off-season to make a trade since that’s when the entire league would have a chance to make their best offer. That would include the Celtics who most would assume have the best offer on the table (should Tatum be included). Further, because Davis has not to this point named any specific teams as preferred landing spots there will be darkhorse offers that could hit the sweet spot for what the Pelicans may actually want in a trade. For example, would the 76ers offer Ben Simmons? 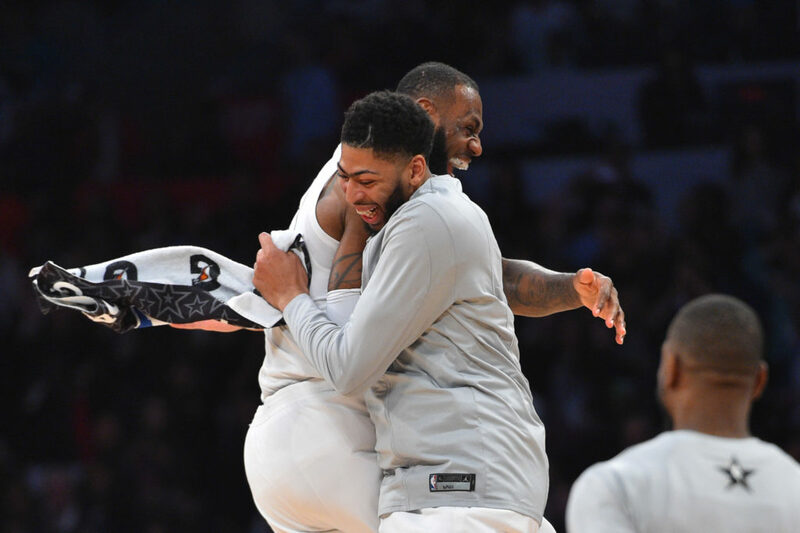 And, just to pour more water on the already drenched blanket, it’s not even clear whether the Lakers young players are viewed favorably by the Pelicans — at the very least, one could convincingly argue the Lakers young players have not distinguished themselves as being clear future stars a la Simmons, Tatum, or even a player like Donovan Mitchell. On an optimistic side, the Lakers have a few things going for them that cannot be ignored. First, the Davis/Rich Paul/LeBron connections are real and almost surely have juice behind them. Whether that’s enough to move the needle in the Lakers direction is unknown, but if Davis/Paul want him to go to the Lakers, that’s likely to matter at least somewhat and keep the Lakers in the discussion for longer than if they were just some other team. Second, I believe the Lakers absolutely will make their best offer and include any and all players not named LeBron in an offer (to say nothing of future draft capital). Will Danny Ainge do the same by offering Tatum? Would the 76ers actually offer Simmons? There’s legitimate reasons to question on both. There is not questioning the Lakers want, here. If it takes Ingram, Ball, and Kuzma (the 3 players thought to be their best young guys), Magic and Pelinka will go to those players houses, help pack their bags, and drive them all to the airport while providing them their list of favorite watering holes in the French Quarter. Additionally, a willingness to include any and all players on the roster means an ability to hunt down pieces the Pelicans might want instead of LA’s young guys and then trading them to that/those teams in order to get the guys the Pels do want. Lastly, one has to assume at some point Davis will actually use whatever leverage he has to steer himself to a preferred destination. From Davis’ perspective, there is no reason to exert his agency enough to request a trade only to relax that agency when it comes to determining his final landing spot. Of course, there’s no public indication (yet) that he’d say he wants to play for the Lakers exclusively and even if that were the case the Pelicans can (and likely will) make whatever deal they think is best irrespective of Davis’ desires. That said, this is Davis’ opening salvo in his exit strategy. There are more cards to play. In the end, though, Lakers fans should brace themselves here. There are too many variables to feel confident in their chances to land Davis and, even more, one can never assume any negotiations play out rationally. A deal you or I might think is fair is not the threshold that needs to be reached. There will always be factors or marching orders we will not be privy to which influence a final deal. That said, a generational talent is asking to be traded. The Lakers can and will do everything in their power to ensure that player ends up on their team. Gear up, you all. It’s going to be quite the ride to see how this plays out.